Best Data. High-resolution data of the lateral and vertical extent of soil and groundwater contamination. Deepest Understanding. A complete overview of local site geology, hydrogeology, geochemistry, and contaminant chemistry. Pinpoint Recommendations. 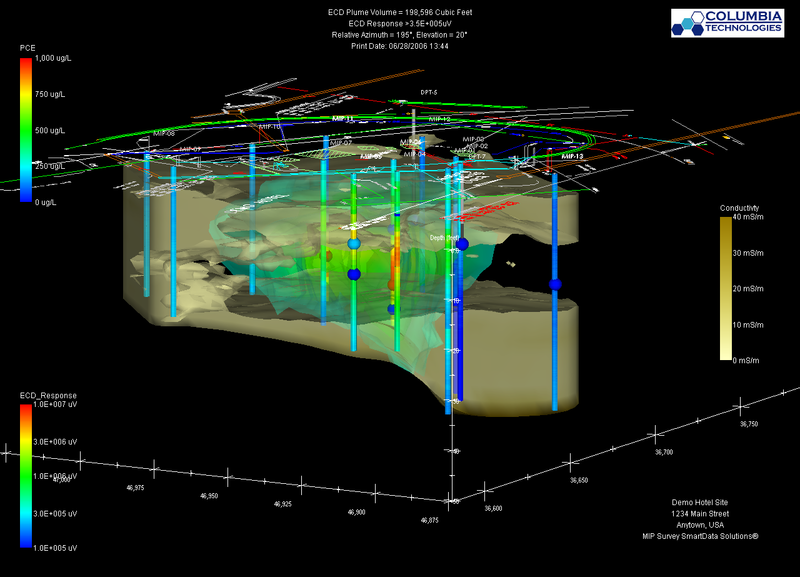 More accurate delineation for the best possible remediation design. Using a browser, managers can view GIS-based data as it is generated, ask questions while performing their own investigation and analysis and reduce the time for budgeting and technical decision making. Given that SmartData Solutions® provides all of these capabilities available through the cloud, it improves collaboration among project managers, decision-makers and other stakeholders, wherever they are. To learn how SmartData Solutions® can help you lower the risk, cost, and uncertainty of soil and groundwater remediation, contact COLUMBIA Technologies today.